The VLF Automotive is a small American car manufacturer founded by Henrik Fisker, Bob Lutz, and Gilbert Villarreal. The company is manufacturing the limited edition sports cars since 2012. 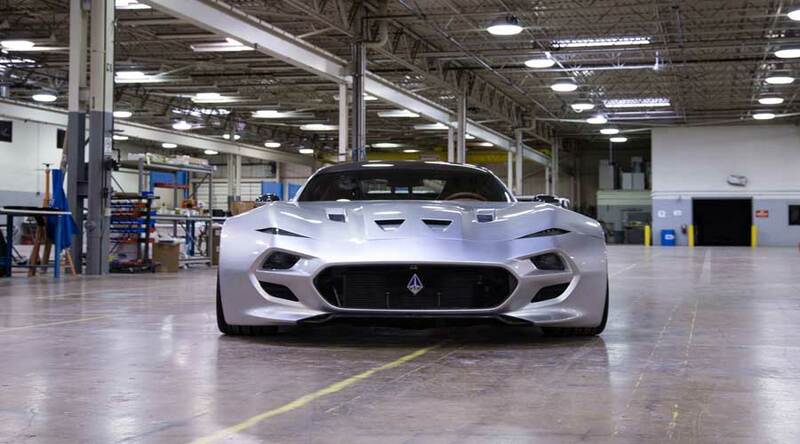 The first product of the VLF Automotive is the VLF Destino. The latest offering from their stable is VLF Force 1 V 10. First of all, VLF Automotive is known for its dramatically designed sports car having typical American racing car genes. The VLF design philosophy basically works on three things. They are Sculpture, Graphics, and Proportions. The design of any car basically revolves around these three components. Among them, the sculpture is very important. Hence, the exciting sculpture at the right place is important in order to get a clean and lean look. The lean sculpture around the wheel-arches gives strong performer look. The deep sculpture around the engine and bonnet gives a more aggressive look with a great stance. Graphics are the critical part as it symbolizes the brand. The VLF graphics are exceptionally sleek with the thinnest tail and front lamps. The side windows have distinct graphics that change with every model. In addition, the variation in graphics still shows the unique VLF brand identity. In addition, the proportions in every VLF car are great and admirable. Every component is designed elegantly and fits into every other component seamlessly. VLF has focussed on critical areas like overhangs, wheelbase, wheel axle and the start of the windshield. So, there is no way of getting the proportions wrong. Force 1 V 10 is basically high-performance, low production, two-seater sports car. The all carbon fiber structure and lightweight body gives the agile performance. While the 21-inch wheels with high-performance Brembo brakes give immense stability and braking capability at high speeds. The naturally aspirated 745 HP 8.4 L V10 engine gives a mind-blowing performance. As a result, it can go 0 to 60 mph in just three seconds. The massive engine churns out 638 LB-FT of torque. The car has a top speed of 218 mph. The massive engine has massive needs of cooling fulfilled by 6 air intakes. Furthermore, the windscreen wraps around side glass with elegance. The side-lines going to the back mark their presence. The ultra-thin lights at front and rear add to the beauty. The most noteworthy feature of the car is the UTV laser blade tail lamps. The breathtaking speed also requires much-needed downforce. The deep front spoiler with rear diffuser helps the car to stick to the road surface. The rear wing spoiler is positioned just above the rear glass. The rear wing spoiler also incorporates WiFi antenna along with an additional tail lamp. 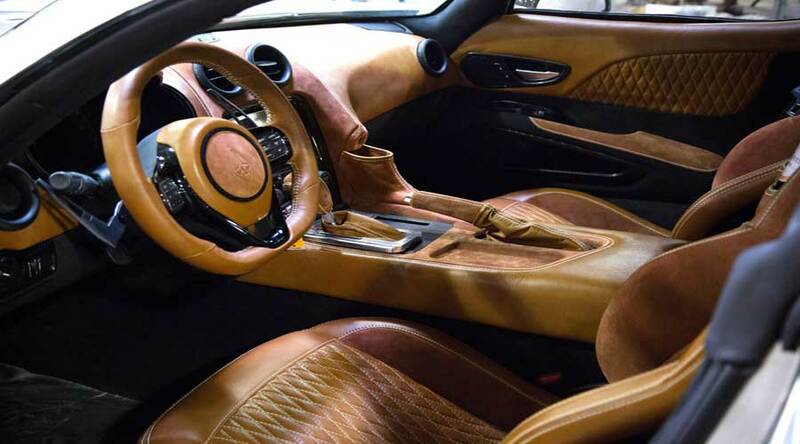 Furthermore, the luxurious interiors include an ultra-soft hand-stitched leather champagne holder, and much more. WiFi connectivity helps you to stay connected to the world. An Aluminum pen holder, a sunglass holder and lightweight manual or electric sports seats are some of the optional features. In conclusion, VLF Automotive is leading the new generation automotive design by taking it to the next level. We have no doubts this car will mark its own identity in the automotive world. 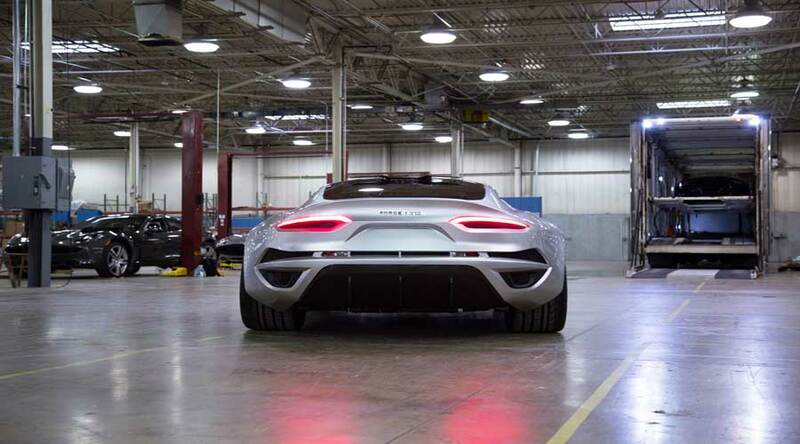 Home » Articles » VLF Force 1 V 10: The Ultra-Luxurious Car From VLF Automotive Is Here!